Most members will tell you that the main aim of the Perth (Western Australia) branch of the St Andrew Society is to have a good time in a distinctly Scottish way! However, there is a serious intention behind the St Andrew Society, which has branches in many cities and in many countries throughout the world. While each individual branch stands alone, the headquarters of the Society is in Edinburgh. You do not have to be Scottish, nor even of Scottish descent to be a member of the Society. 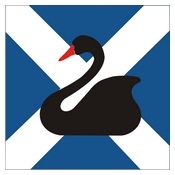 Membership of the Perth branch is open to anyone who, in the opinion of the Committee, has a connection with Scotland or has a genuine interest in furthering the Society’s objectives. Encourage the meeting of Scots and others interested in Scotland and Scottish culture. Encourage and foster Scottish dancing, singing, literature and other cultural activities. Make contact with Scots visiting or working in Perth and its surrounds and support other Scottish cultural institutions. Encourage the wearing of highland dress. For further details, see our Constitution. Perhaps our most important objective is to celebrate St Andrew’s Day ( 30th November ) which, along with the enjoyment of other Scottish occasions, helps the Society’s members fulfill some of these aims. The Society’s celebration takes the form of a St Andrew’s Day Ball – a very popular affair and is the culmination of the committee’s work each year. The Society also organises an annual Burns’ Supper, ceilidhs, weekends away and other activities as well as Scottish Dancing lessons. Anyone who would like to know more about the St Andrew Society can contact the Chieftain, via our Contacts Page. To join, a membership application form can be downloaded via the Forms Page.